When Star Trek: The Next Generation aired in 1987, having a casual conversation with a computer must have seemed like far-flung science fiction. But according to the state of voice search, we won’t have to wait until the year 2364 to get there. 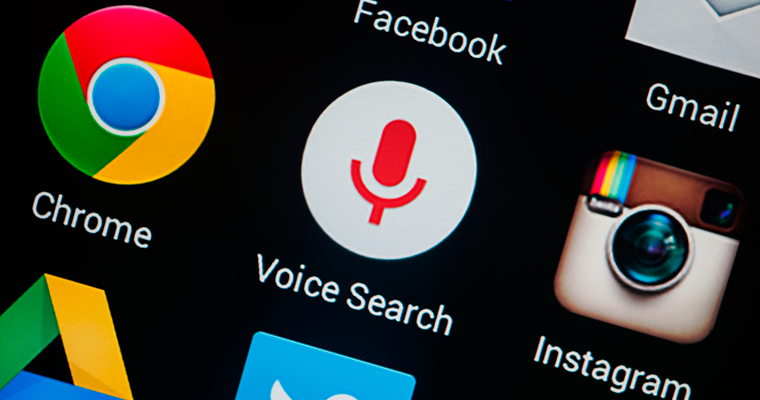 Voice search is the fastest growing type of search, according to the keynote speech given by Behshad Behzadi at SMX West in March, Principal Engineer at Google Zurich. Already, 55% of teens and 41% of adults use voice search on a daily basis, and that number is only growing. The allure of voice chat is undeniable—it’s faster, it’s hands-free, it lets you multi-task, and (especially among millennials) it’s considered cool. Voice chat is also becoming increasingly reliable as technology improves. In fact, two years ago word error rate was over 20%, but current speech recognition word error rate is as low as 8%—a huge leap in a short amount of time. Very few people type the way they speak, especially when it comes to search queries. When you type, you adopt a sort of stilted shorthand, so you enter something like “weather Paris” into your search bar. When you speak, you’re more likely to ask the complete question, “What’s the weather like in Paris?” This pattern holds true with voice search queries as well. 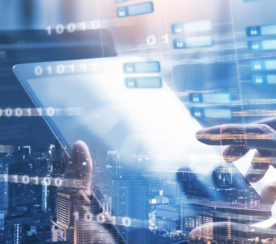 As programs like Google Now, Siri, and Cortana become more popular, and their programming becomes more refined, it’s increasingly important that search engines learn to interpret natural phrases. To that end, Google’s been trying to adopt speech quirks and idiosyncrasies into its voice search programming. And they’ve been busy. If you ask Google to show you a picture of Wales, and you get back a picture of whales, you can then clarify, “W-A-L-E-S,” and a picture of the country will now pop up. If you ask “Where is the Golden Gate Bridge” and follow that up with the queries “I want to see pictures of it” and “who built it,” Google is able to interpret what “it” is based on your initial search, delivering pictures of the Golden Gate Bridge and an answer on who built it. Alternatively, if Google cannot immediately answer a query, you can help it narrow down the answer through context. So, if you ask “How high is Rigi,” voice search may not respond, because it’s an obscure mountain in the Swiss Alps. But if you ask, “What are the mountains in Switzerland” first, and follow that up with the query “How high is Rigi,” Google will tell you that it’s 1,798 m in elevation. If you’re at a Convention Center in San Jose and you ask voice search, “How far is the airport from the Convention Center?” Google will understand that “the Convention Center” refers to your current location in San Jose. If you’re chatting about a specific restaurant in an app like Viber, you can ask Google to “Show me the menu.” Google will understand which restaurant’s menu you want to see based on context, and bring up a menu for that restaurant. Looking up a Wikipedia entry on Johnny Depp? You can ask voice search to “Show me pictures of Johnny,” and get back a smorgasbord of Johnny Depp photos, because he’s the “Johnny” you currently have on screen. Asking Google “What’s my office address?” will bring up your office address, without the need to clarify who “my” refers to. The Death of Short Tail Keywords? It’s clear that context and conversational search are only to become more important as voice search continues to evolve. So where does that leave SEO? 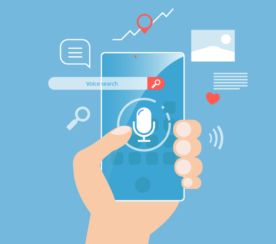 Well, for one thing, we need to seriously incorporate voice search strategy into our websites, because voice search optimization is the future of SEO. That means doubling down on excellent content, written in a conversational tone. We also need to understand that people who type a query and people who ask a question into voice search are often after two different things entirely. For example, the typer might be okay with doing research, while the talker typically wants quick answers and instant results. We need to appeal to both types of people. While I don’t believe that short tail keywords will ever disappear entirely, they do become far less relevant when we consider the natural phrases used in voice searches. We need to focus more attention than ever on conversational, long tail keywords. 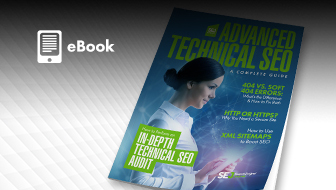 Get acquainted with schema markup, if you’re not already. This HTML add-on helps search engines understand the context of your content, which means you rank better in normal searches, and you’ll be more relevant in specific queries made through voice search. Make sure things like directions to brick and mortar locations and XML Sitemaps are readable to visitors and search engines on your website. 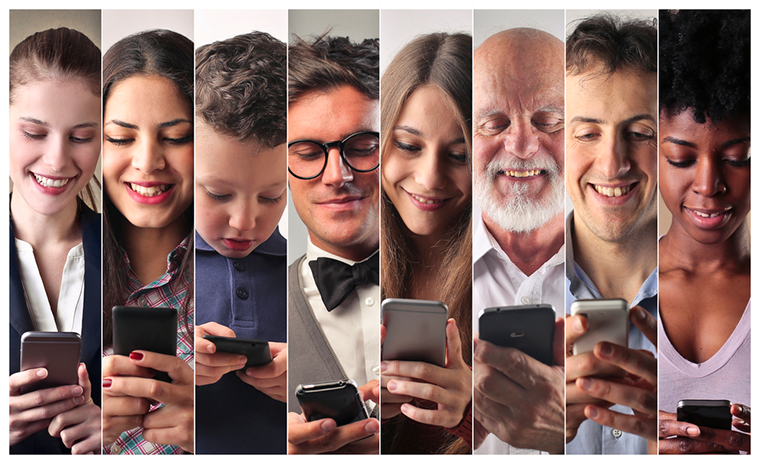 This is the kind of information mobile users and voice searchers will most often be after. When voice searchers as a question, they typically begin it with “Who,” “What,” “Where,” “When,” “Why,” and “How,” and they’re looking for answers that fulfill an immediate need. To answer these queries, make a FAQs page and begin each question with these adverbs. Then answer them conversationally to appeal to voice search. Keyword research tools like Rank Tracker (disclaimer: my tool) will let you autocomplete queries using a keyword and a wildcard. Base the questions on the FAQs described above and look for commonly searched long tail keywords to figure out what questions you should be answering. I think a lot of us who grew up in an age where technology couldn’t talk back still have a certain stigma attached to talking to our phones when another human being isn’t on the other end. But, according to Google, younger generations don’t have that same hesitation, and most “feel tech savvy” asking questions into voice search. They ask it for directions. They use it to call someone. It even helps them with their homework. And yes, they even use it in the company of others. 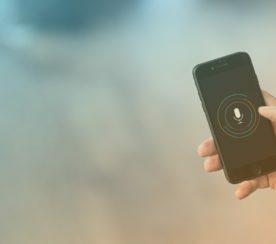 Voice search is clearly on the rise and we’d be foolish to ignore this trend in the SEO industry. It’s time to stop thinking linearly about only text-based queries, and start talking about how we can optimize for voice searches as well. Clearly, the future is conversational.